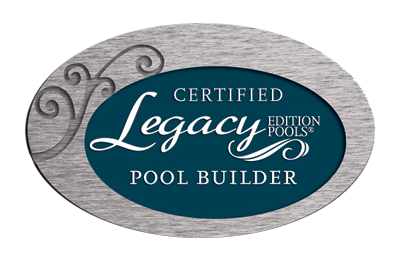 The Legacy Edition Certified Builder Program is a partnering agreement with Imperial Pools Inc. reserved for qualified swimming pool professionals that share a commitment to excellence. It means that when you choose a Legacy Edition Certified Builder to install your pool, you can be assured of the highest level of quality and service available in the swimming pool industry. Assurance of quality is the result of demanding evaluations of skill, talent and expertise on a continual basis. A Legacy Edition Certified Builder is a dealer with tremendous pride that strives for perfection in each and every pool installation. A Legacy Edition Certified Builder desires this status every day and the principle to be the most respected and preferred choice in the marketplace is an aspiration well worth endeavoring. A Legacy Edition Certified Builder is special and a “cut above the rest”. Selecting this class of dealer will exceed your expectations and manifest itself in years of contentment.